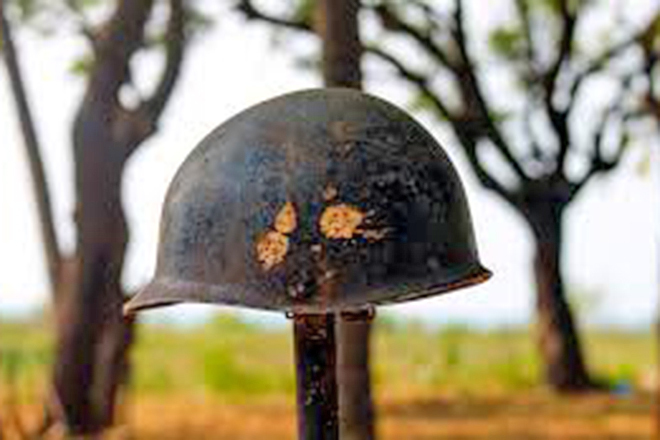 Ghosts of Rajapaksha Intervene to Stop Post-War Photographic Exhibition ! The UNFRAMED Photographic Exhibition to be held at the University of Peradeniya for the Student Literature Festival of 2018 under the theme ‘Let My Country Awake’ has been suspended due to the intervention of a group of students trying to establish Mahinda Rajapaksa’s politics within the university. It was scheduled to be held from 16th to 18th October at the Peradeniya University as it’s fifth event so far. This photographic exhibition was already featured 4 shows in Colombo, Negombo, Matara and Anuradhapura with the theme ‘Post-war Sri Lanka – For Justice and Life’. Since the beginning of October, there have been various hate statements and threats against this, spreading through organised social media events. Those who were involved in the propaganda campaign were spreading hate statements representing nationalist political groups. There has been a slew of comments inciting hate including extraneous death threats aimed at ‘Vikalpa’ website that started the UNFRAMED Photography Exhibition and its editor and the media activist Sampath Samarakoon. As a result of this situation, the organisers of the Literature Subcommittee of University of Peradeniya and the Students Union had decided to suspend the exhibition on its first day it was to open to the public, the 16th. With the aim of preventing an unpleasant conflict or a terrible situation in the university, an immediate meeting was arranged at 5.00pm on the same day initiated by the Students Union and the representatives of the photographic exhibition to discuss with the group of students involved. A large number of students had participated in the discussion which was held at the Management Faculty of the university. The Students Council and the Literary Subcommittee have announced the intention of the discussion aiming to topple the situation with a better perspective. Recognising the rights of criticism of art and having feedbacks, it was stated that it should however be possible to hold artistic expositions. 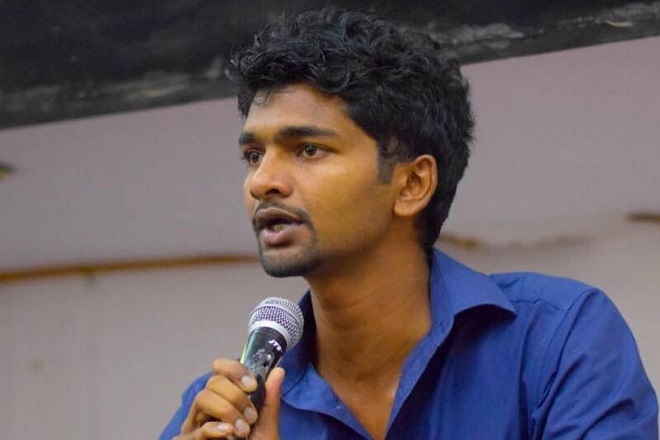 However, a group of students who participated the meeting threatened the gathered saying that the exhibition was connected to the LTTE, there are photographs of Tamil people in the show and that such photographs shouldn’t not be displayed at the university. Especially, while criticising the objectives of the literary exhibition, they further said that no further land grabbing took place and it is the terrorists who had called for the release of political prisoners. They also said that they did not care about any discussions. The representatives of the Students’ Union and the Literary Sub Committee expressed their views on this ideas. They mentioned that it is unlawful to block the opportunity of viewing an artistic expression in photographs even without seeing them before, since it was appropriate to present their criticism and comments after viewing these shows. The group of students who objected to these, firmly made it clear that they would not allow UNFRAMED exhibition to be shown at the Peradeniya University premises. It is in this situation that the Students Council and the Literary Sub Committee of the Peradeniya University decided to cancel the exhibition as it was not in any way possible to prevent an confrontation with such an extreme viewpoints by such student groups. 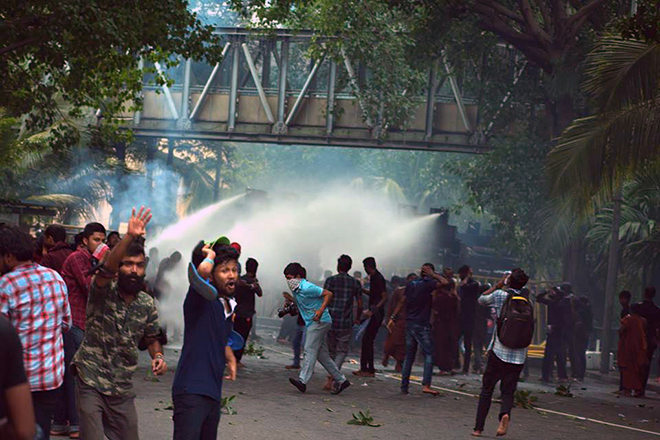 It is not possible to conclude such ideological disputes with violent struggles but with further discussions. Old Leaders, Save The World For the Next Generations! 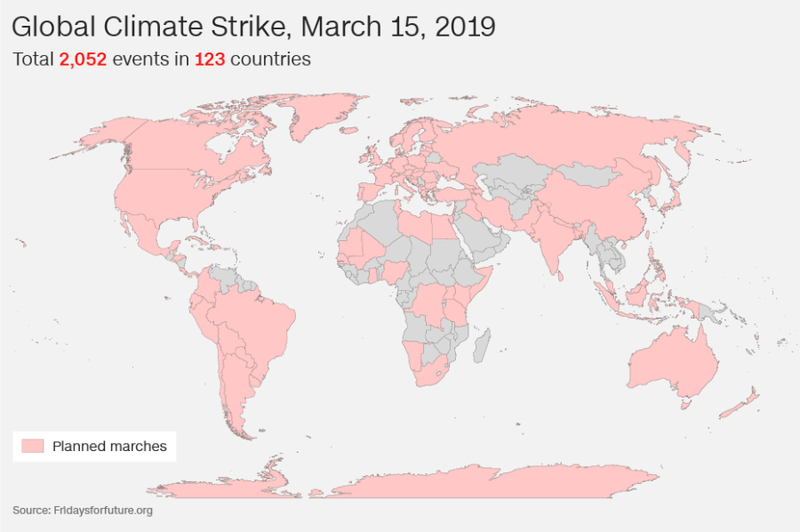 Students Protests Around the World. 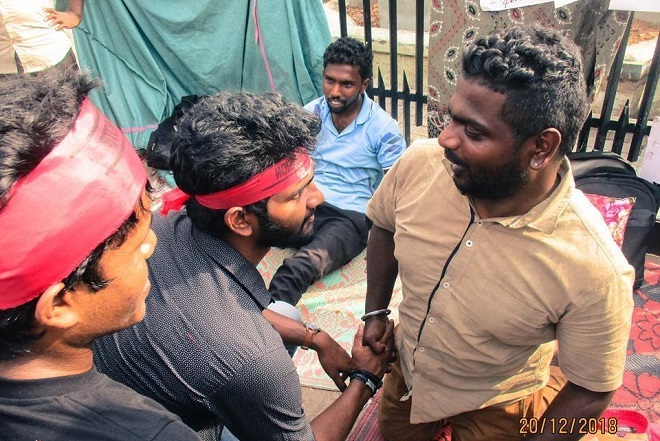 Lankan Student Movement Extends Support to Estate Worker Rights Struggle! 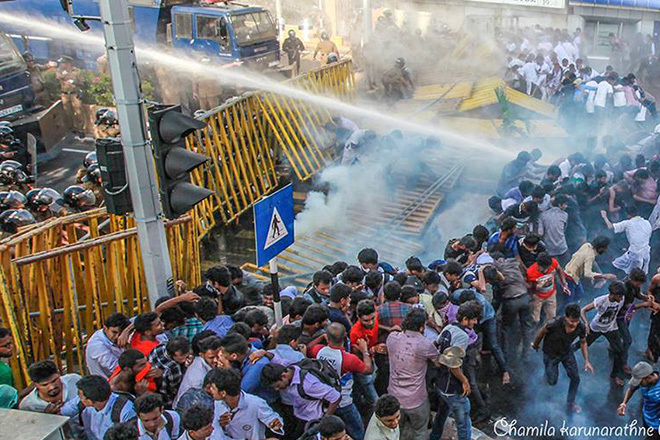 Police Attacked Peaceful Protest Demanding Right to Education! Secret Political Alliance to Suppress University Students!